As a meaning-focused entrepreneur, Moondancing is my Heart Dance. Since we're all one, you may find it reflects yours too. 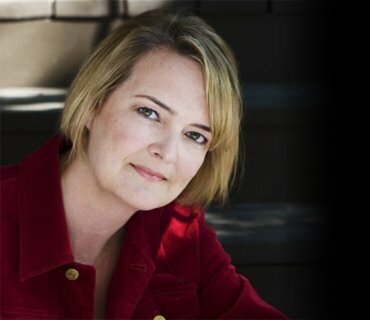 Here's a glimpse inside the whispers of my heart (I wrote this as I worked it all out). When I first wrote, this was for my eyes only. Now, only for yours. I hope you enjoy! In astrology, the Moon represents emotion. If fact, it's the mediator between our inner and outer lives. 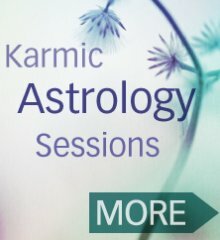 Astrologically, my own purpose, or soul mission is symbolized by the astrological sign Cancer, ruled by the Moon (you may know — I am also a karmic astrologer). 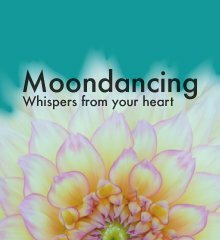 With this in mind, I use Moondancing... Whispers from your heart to mine my own inner life in a way that inspires and empowers others to follow theirs. I envision our mind-heart relationship as a beautiful Dance. At times, our heart leads and at times it follows. Knowing which to trust and when, this Moondancing we all do throughout our lives, is an intricate business. Over the years, readers have kindly written me to say that I write exactly what they need to hear, when they need to hear it. As if whispers were coming from their own heart. Life here on earth is complex. Our heads, our Hearts, our desires and that which is outside us compete for our attention. Guidance comes in many forms. Each intuition, each whisper, must be thoughtfully discerned and vetted deep inside by the receiver. >At the heart of it all of course, we're energy, we're connected and humanity is on the cusp of change. Each of us feels this deep inside in our own way. I see Moondancing... Whispers from your heart as a collective creation. Words created by my heart and mind and received by yours. Your responses to me in return... then become Whispers from my heart. Saying Yes to Moondancing is saying yes to your own, most intimate dance. Another way to fully immerse yourself in the magnificence of your life. It's about opening to your heart's whispers. Discovering your unique essence. Trusting your soul's call at every step. I hope that Moondancing speaks to you. That its ideas find you, just when you need them. That when you're inspired to do so, you'll let me know of your experience. You are loved. You are Love. You can have it all. Just say YES. Moondancing e-newsletter – Would you like inspiration delivered to your Inbox?